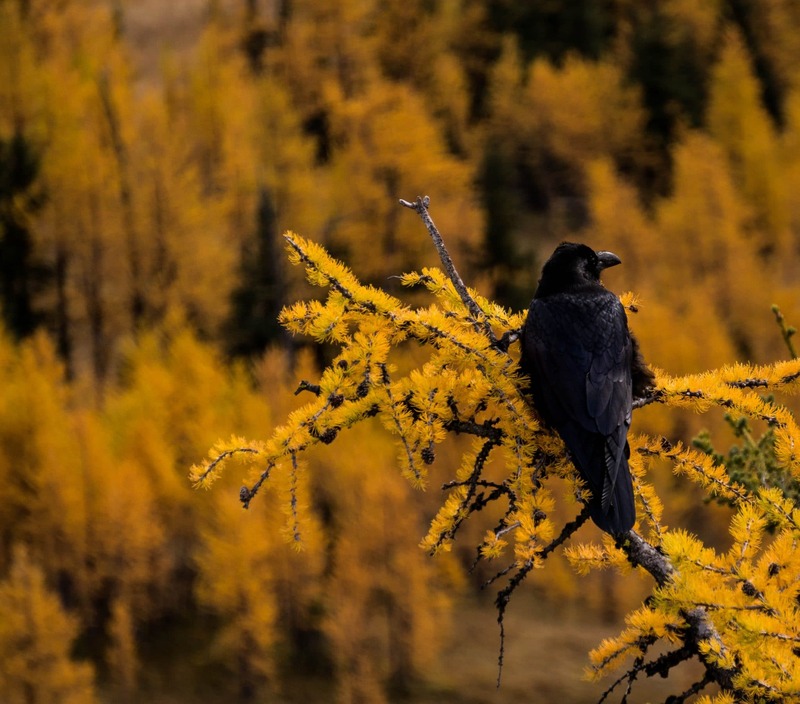 For those that aren’t in the loop, larches are one of only two coniferous trees in North America that are also deciduous. Their trunks turn black and needles change from green to a beautiful golden colour in the fall before they fall to the ground. Larches only grow between 1800-2400 metres so you have to gain some elevation to see them. 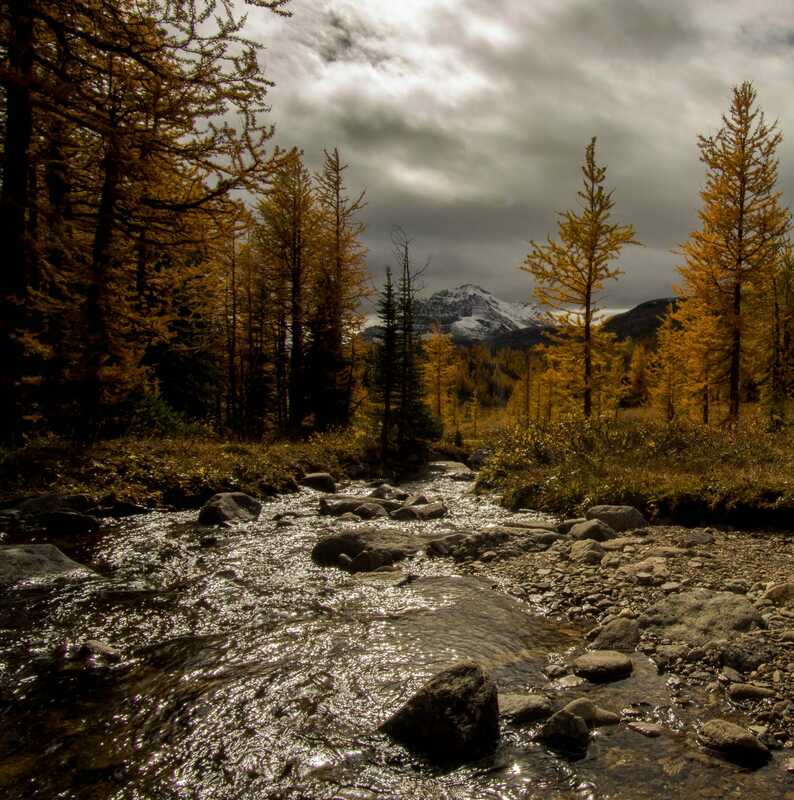 Alberta doesn’t get the variety of colours that some places famous amongst leaf peepers get in the fall but golden larches are an amazing consolation prize. They can be seen throughout the rocky mountains and there are several great hikes to appreciate them in Kananaskis and Banff. “Larch madness” takes place like clockwork on the 3rd and 4th week of September. After a couple of weeks the needles fall to the ground so you only have a short window to get out there. That said, the trees don’t all change at once, so there may be a chance to see some golden larches into early October. They just won’t be as dramatic as during the middle of larch season. If you’re like us at Zentravellers and enjoy the peace and tranquility of the backcountry, be aware that many of these larch hikes are very popular and the trails can be very crowded. We’ve rated each trail on a rough scale of how busy it would be on a weekend. 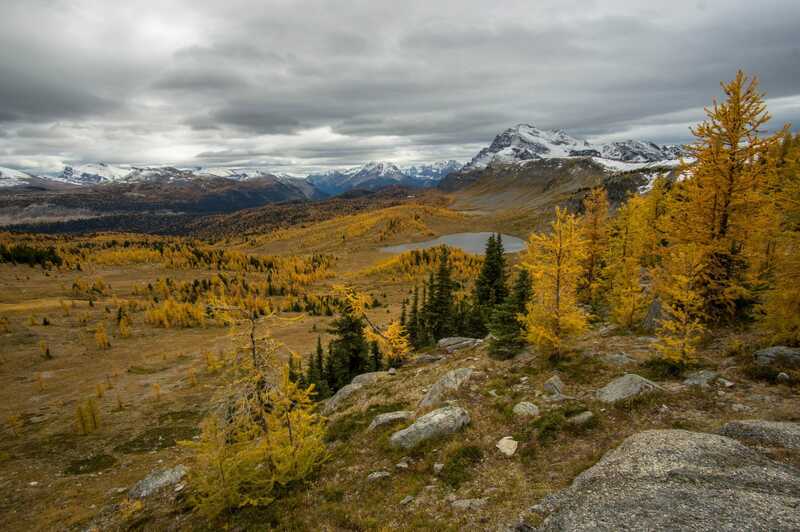 Low means you might encounter a few other hikers but you’ll mostly have the trail and golden larches to yourself. The higher ends of scale mean you’ll likely be following somebody else up the mountain and fighting off crowds of tourists taking pictures of larches with their iPads. If you’re going on the weekday, rejoice, as most trails apart from the most popular will be relatively quiet. An easy and popular hike accessed from Smith Dorian Highway/Spray Lakes Road. We’ve done it multiple times but admittedly, never in Larch season, it has a reputation as a great larch hike in the fall, and one that is accessible for those of all abilities and experience levels. Park at the Chester Lake Day Use Area and follow the well-marked trail. After about 4.5km and 300m of elevation gain you will come to the shorelines of Chester Lake which will be surrounded by golden larches. If you still have energy, you can extend your hike about 15-20 minutes from Chester Lake and head to the giant boulders called the Elephant Rocks. These giant rocks are fun to play around in and kids and adults alike will love them! If you’re a scrambler, Fortress Mountain and Mount Chester are fantastic scrambles with amazing views, both are challenging full days. 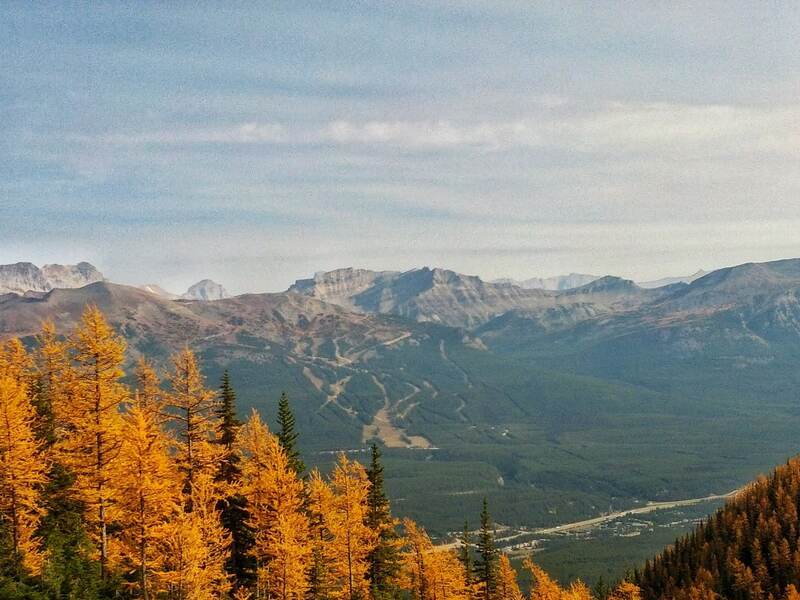 Whether during larch season or not, this is one of the premier ridge walks in Kananaskis. If you have two vehicles available you can do it as a point to point hike without retracing any steps. Start from Highwood Pass Parking Lot. From the north end of the parking lot you follow the interpretive trail and then turn off to the ridge’s trail on the left. After following the trail you can hit up to three peaks on the ridge, with views of Elbow Lake, Tyrwhitt, Gap Mountain, and of course, larches! One way, the trail is about 11km. If you didn’t do a shuttle, retrace your steps and enjoy the ridge for a bit longer on the way back to the car. 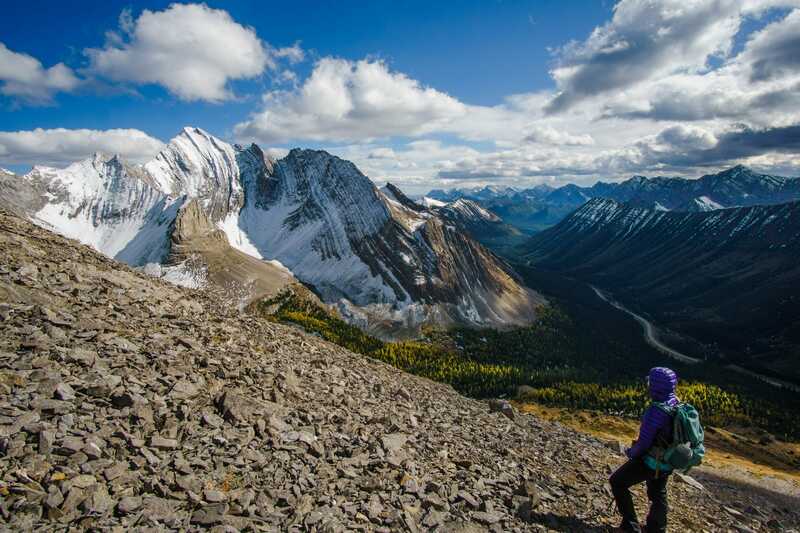 As one of the highest roads in Canada, hiking in the Highwood Pass area is almost cheating. For minimal effort you can get excellent views that you would have to gain the hard way in other parts of the Rockies. Expect a full parking lot and cars lining the road but once in the cirque you can spread out and find a bit of peace. Ptarmigan Cirque is an easy hike from Highwood Pass. Car to car the hike is about 5km and 300m elevation gain. This is considered an easy hike but be warned, the first kilometer or so of the hike has a considerable amount of elevation gain. Park at the Highwood Pass Day Use area, head north along the interpretive trail and cross the highway to the beginning of the trail. During the summer this hike is popular for its excellent wildflower meadows but it also has a good number of larches. The effort to reward ratio here is excellent! 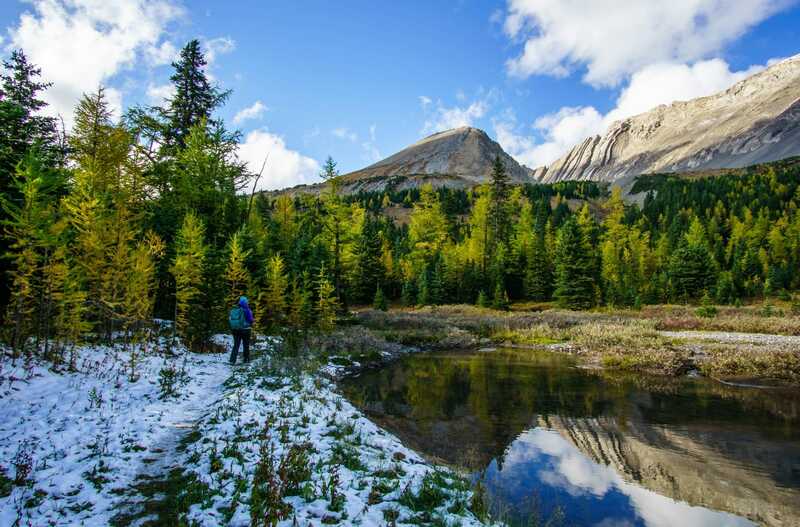 At any time of year Burstall Pass is one of the iconic hikes of Canmore. Situated 40km down the Spray Lakes Road from Canmore this is a good intermediate hike. It’s about 15km round trip and just under 500m of elevation gain. Tip: Wear waterproof boots or pack a pair of sandals for the stream crossings at the beginning of the trail. 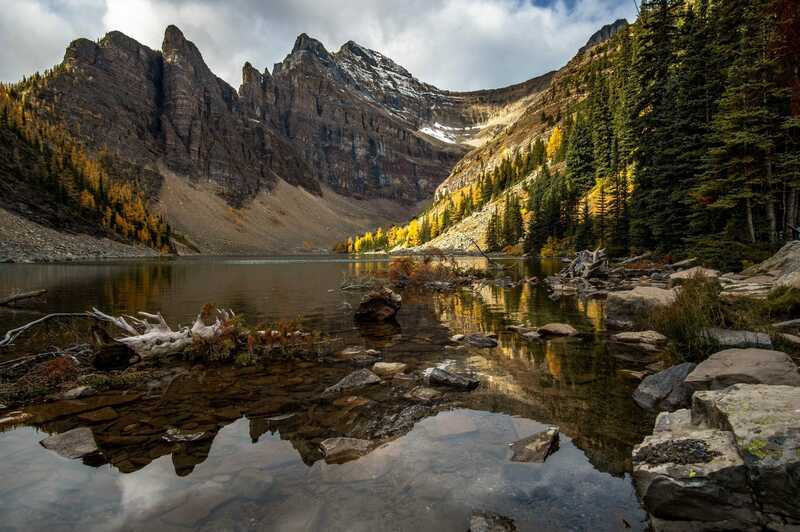 The trail takes you around Burstall Lakes, through a marshy meadow, wildflowers, and to an alpine pass with views into Banff National Park and toward Mount Assiniboine. Also in the Highwood Pass area, hiking in this area offers few crowds and easy to win views. “Opinionated hikers” like the Copelands, suggest you avoid Arethusa Cirque and head straight up Little Arethusa, but we found both to be a worthy destination. They can easily be combined for a slightly longer romp in the larches. Park on a gravel lot 1.4km from the Ptarmigan Cirque parking lot and head to a trail in the fir forest. The trail climbs steeply (but not scramble-steep, we’ll get to that) to a creek crossing and continues through a larch forest until it opens to a fork in the meadow. Turn north into the larch forest for the south summit of Mount Arethusa (aka Little Arethusa). Otherwise, follow the draw straight along the meadow for the cirque portion. Minimal effort, larches just beginning to turn golden, and a great view. Worth it! We opted for the Little Arethusa option since we love September summits. This trail climbs steadily through a larch forest before emptying to a high alpine meadow. Here you could cut eastward to rejoin the cirque trail, or head northwest to a scree slope to reach the south summit. It’s a steep push, but well worth the effort and it only took us two hours to get up. When we descended, we took the cirque route down which made the total trip about 3.5 hours. The cirque on its own would likely take as little as 1.5-2 hours and Little Arethusa could be completed in as little as 3 hours. I’m not sure where the Copeland’s hate for the cirque comes from, as it’s a lovely and easy jaunt through a golden larch forest that opens to close up views of sky high peaks. It’s definitely a great hike for beginners. Those wishing for more time with larches or a greater challenge can head up to Little Arethusa with or without doing the cirque. Of course, Kananaskis is amazing, but if you really want some of the most famous mountain views in the rocky mountains you have to go to Banff. Some of the best Larch viewing is at Lake Louise so you’ll need an early start and these trails are famously popular so you’ll have to be patient with the crowds. 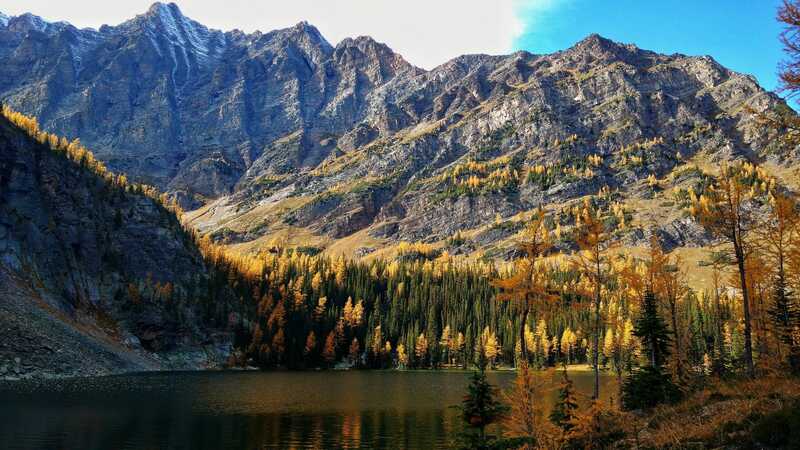 This is of course, the best known and most popular larch trail in the Rocky Mountains. The trail begins at Moraine Lake (incredibly popular in its own right) and heads on a well-defined trail up to Larch Valley. At times this area requires groups of four due to grizzly bear activity. You won’t have to wait long for a group but pack bear spray anyways. Seasoned hikers will continue on to Sentinel Pass for absolutely stunning views of the area and the valley below. The trip to Sentinel Pass and back is 12km round trip with a 700m elevation gain. Parks Canada operates shuttles as the small parking lot at Moraine Lake gets filled up very quickly. Unless you get to Moraine Lake before 8AM don’t bother heading to the lake and go straight the hamlet’s parking lot for a shuttle. Another popular trail in the Lake Louise area, this is a 7km round trip to the teahouse along the shores of Lake Agnes. Lake Agnes has a few larches surrounding it and should be (a little) quieter than Larch Valley but this is a popular trail in it’s own right. Pack some money for a tea or hot chocolate at the teahouse and lounge away your time along the shores. The trail is well signed and begins from the Lake Louise parking lot. The Saddleback starts from the Lake Louise parking lot so while you’ll have to deal with some crowds, unlike Larch Valley you don’t have to win the lottery (or more likely, take the shuttle) for parking at the tiny Moraine Lake parking lot. Once you hit the trail it’s considerably less busy than Larch Valley or the Lake Agnes tea house, you can almost forget the hordes of tourists that are visiting Lake Louise! Parks Canada ranks this is a difficult hike, 4km round trip and 600m elevation gain. It’s got a fair bit of elevation gain over a short period but there’s nothing technical about this hike, it’s just hard work to gain that elevation which deters some of the crowds. 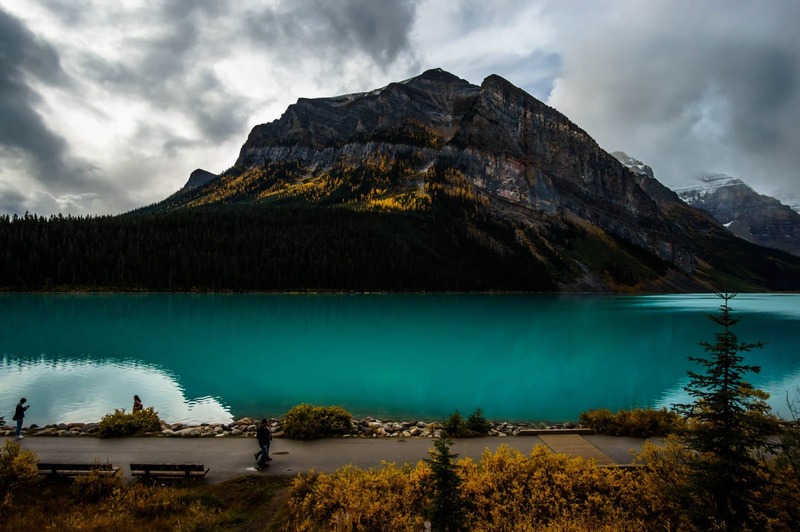 Strong hikers can continue to the top of (aptly named) Mount Fairview for stunning views of Lake Louise, the Plain of Six Glaciers, and the surrounding area. Not nearly as crowded as other hikes in Banff and offers spectacular larch views with a reflection in the glacier fed lake on calm days. This is an easy hike through a forest, about 6km one way with just under 600m elevation gain. Park at the Taylor Creek day use area off the Trans-Canada Highway. If you haven’t gotten your larch fill yet, you can extend your hike by about 2km to visit O’Brien Lake on a less boot-beaten path. Healy Pass deters many due to its long approach. Those that are willing to brave that long approach (with much of it in the forest) are rewarded with excellent views, and limited crowds. The trail begins at the Sunshine Village parking lot with a rather dull hike through the forest for 8km but pays off as it opens in to a valley with stunning views and a hillside filled with larches. Overall the hike is 20km round trip about 700m of elevation gain. 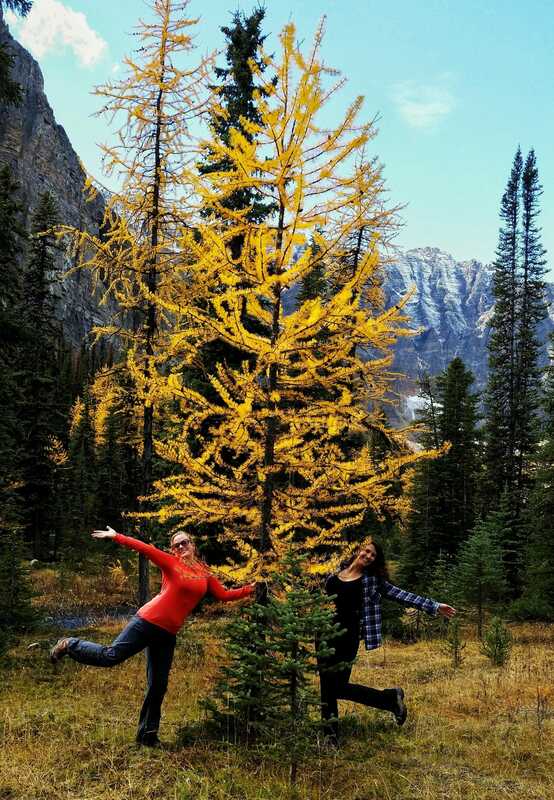 A Bonus Larch Hike in Yoho National Park! If you’re one of the lucky few that can manage to get a booking on the bus, this would be a great trip during Larch season. 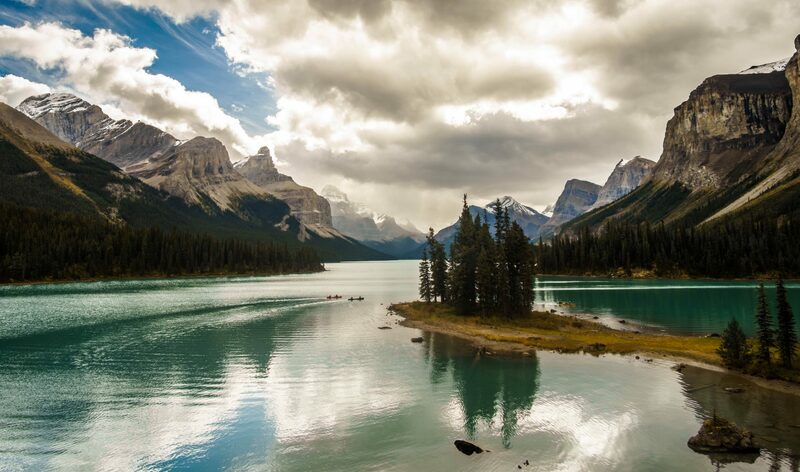 Lake O’Hara is controlled by Parks Canada and has a quota only allowing 42 people in the area via bus each day. The bus to access the area must be booked in advance, bookings open 3 months ahead of time and fill up quickly, often the same day bookings open. With the changing seasons you can expect a bite in the air and snow is common this time of year at higher elevations. If you are heading out to do any of these larch hikes in Kananaskis or Banff go prepared for cold weather. Dress in layers and pack warm clothes, including a toque and gloves. Even if it’s warm and sunny in Calgary the temperature will often drop quite a few degrees in the mountains. If you’re exposed to wind, that adds another element. Snow on the trail means that it can be slick and slippery. It should go without saying but wear hiking boots (preferably waterproof), take hiking poles, and you may even want to consider traction aids. 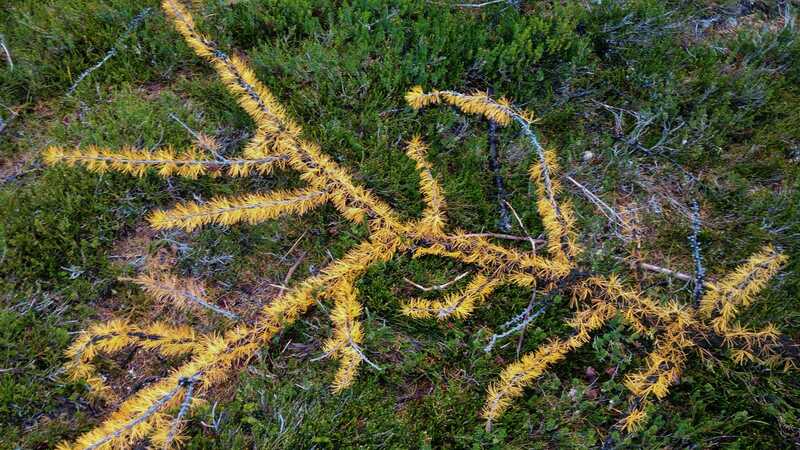 These aren’t serious problems and they shouldn’t stop you from enjoying the beautiful golden larches but it’s best to go prepared so that a bit of weather doesn’t ruin your hike. At Zen Travellers we’ve had an absolutely amazing hiking season this summer. Among others, we were lucky to do world class hikes and backpacking trips such as the Iceline Trail, Northover Ridge, and Tonquin Valley. 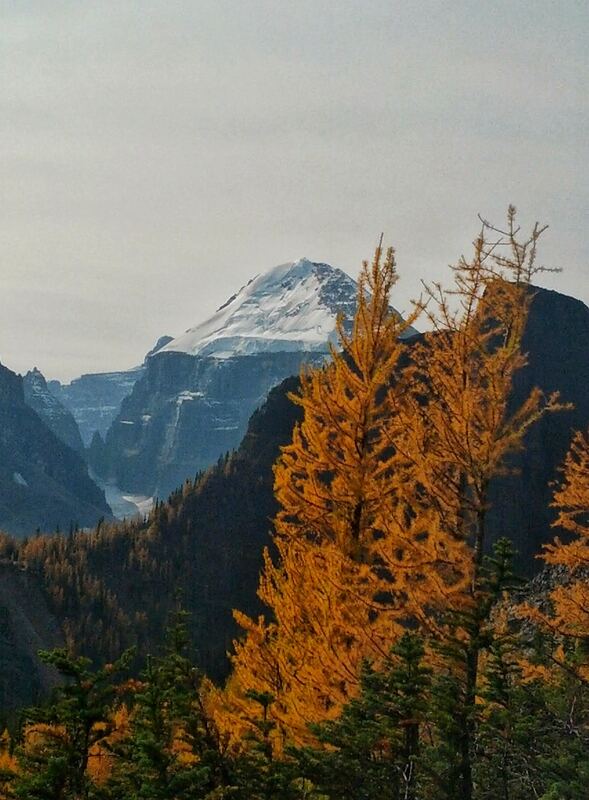 Whatever you’ve done this summer, Larch season is such a great way to finish up your hiking season. Before you know it there’ll be snow flying and we’ll be flying down the mountains on skis instead of hiking up! Got another larch viewing hike you’d recommend? Have you done one of these hikes? Let us know in the comments! Happy Larch Madness! What are you waiting for!? You don’t even have to hike, just take a drive along Highwood Pass! I will be in Banff Oct 17 -21 will I have missed the colors? Hi Valerie, it’s hard to say. I bet there would be some still sticking around but the Moraine Lake road is now closed so you’ll have to try to see them near Lake Louise or Kananaskis. Hope you have a great time in Banff!